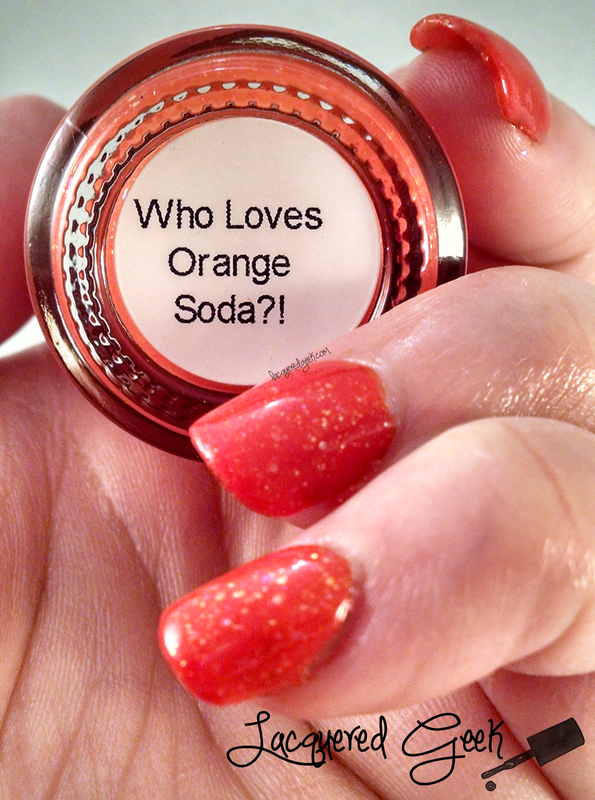 Lacquered Geek: Pahlish: Who Loves Orange Soda? 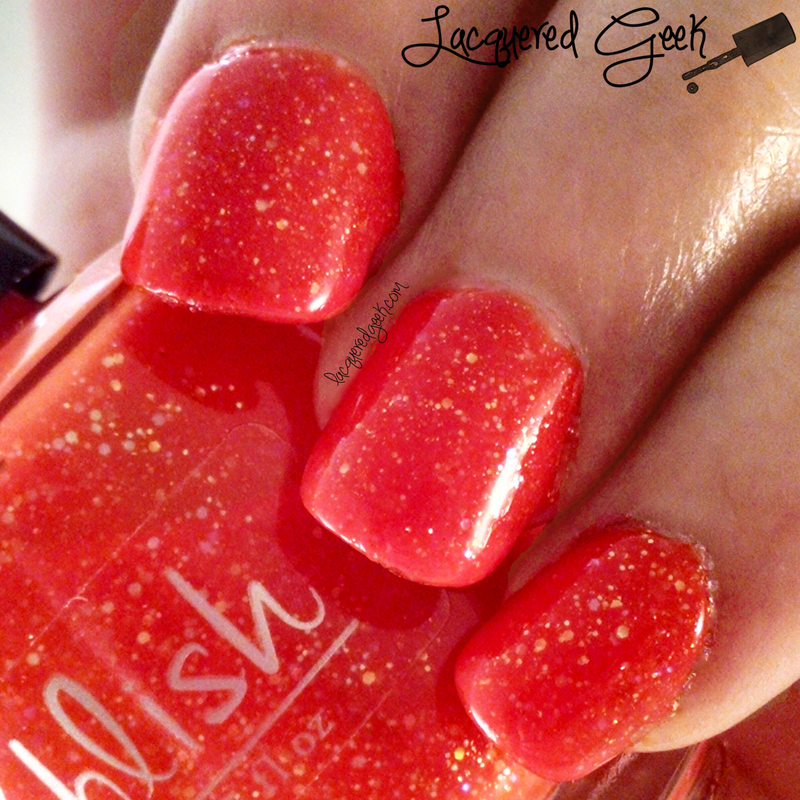 Pahlish: Who Loves Orange Soda? Hi guys! Last month, Pahlish celebrated their 3rd anniversary, and in addition to launching some unique anniversary polishes, they also re-released some old favorites. I did not discover Pahlish until the "All of Time and Space" collection, so I was looking forward to picking up some of those older colors. Today, I want to share one of those with you! 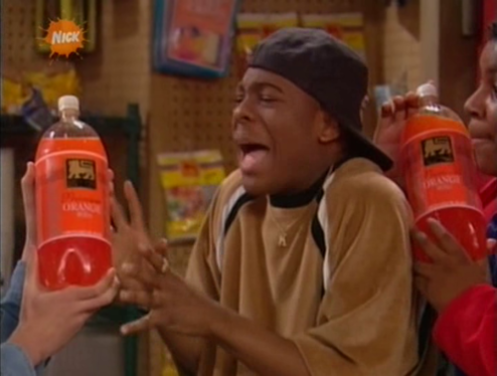 Who Loves Orange Soda? was originally from the Summer Soda Fountain collection that launched in the Summer of 2013. When I read the name of this polish, all I could think of was "I do, I do, I do-hooo." If you don't know what I'm talking about, then then maybe this will! 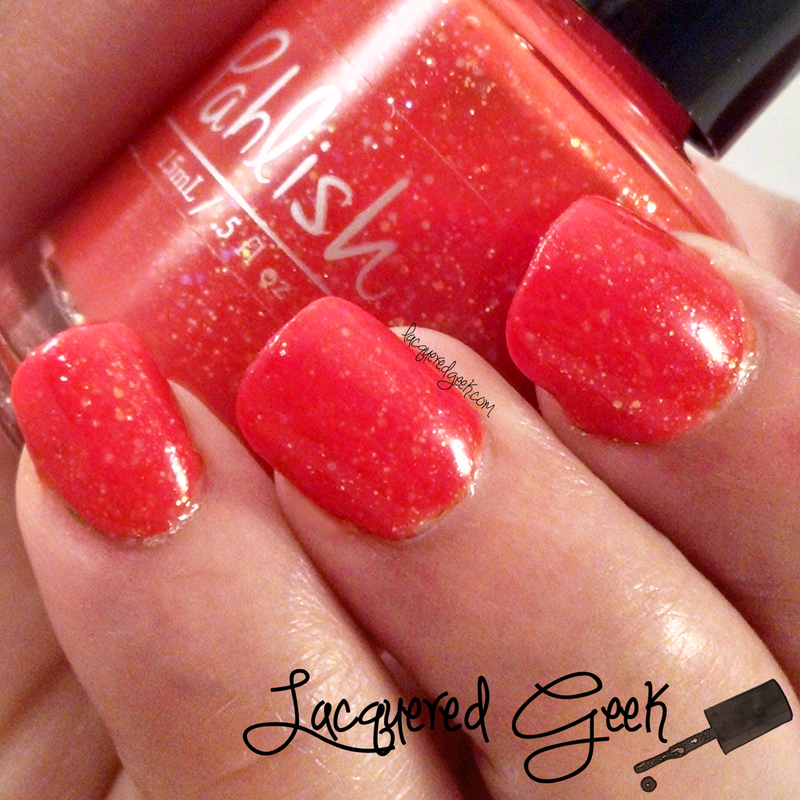 Pahlish's Who Loves Orange Soda? is a juicy orange jelly with iridescent gold flakes. I've seen this polish look dramatically different on different swatches. I don't know if is camera based or skin tone. Some swatches I've seen it look bright orange, and in others more of a darker orange. But for me, it was more of a red-orange color. I love the color though; to me, it is a perfect match for the orange soda that I remember from childhood! Look all that iridescent goodness! I used three coats for these photos. The first coat was pretty sheer, but it built up nicely. You will need a top coat to get a nice shiny finish. I found the formula just a wee bit on the thick side, so I'll be adding a touch of thinner before I use it again. Pahlish is one of my favorite indie brands. From their collections to Bespoke batches, I love the uniqueness of all the colors! Do you have a favorite Pahlish polish? 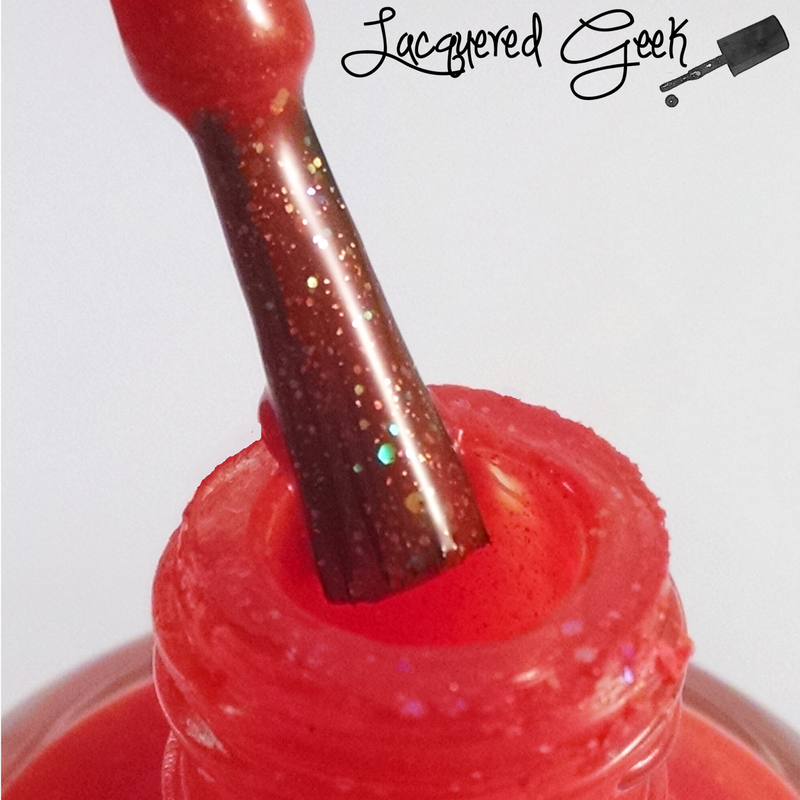 Gradient using Lucky 13 Lacquer "Flops"
OPI: Go With the Lava Flow and That's Hula-rious!